The 6" long stainless steel blade moves smoothly along edges of concrete sidewalks and slabs. This edger creates a 1/4" radius, with a 3/8" lip, on the edge of concrete slabs to prevents the edges from chipping with wear. The 2-1/2" wide tool provides the perfect amount of coverage on sidewalks and small projects. Both ends curve up to easily glide back and forth across the surface without gouging. 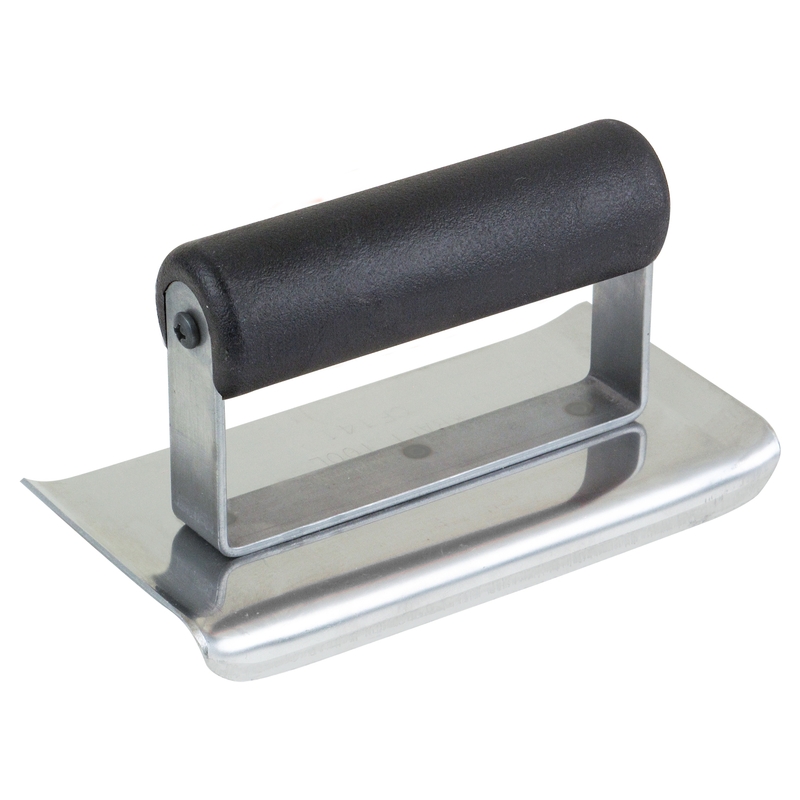 A steel mounting welded to blade attaches the plastic handle. The enhanced texture on the handle reduces fatigue and provides a great grip. Proudly made in the USA.